Buying a used car for your EV conversion project can be really exciting, provided you use right negotiating tips. It has been seen that people who are inexperienced and are not expert in buying automobiles end up getting cheated. Before you actually start looking for a donor car, you must first decide your budget, so that you are clear about the money you want to invest in your dream electric car. You must decide the range of price which you are ready to pay, once decided never go beyond your range. It will be a winning situation for you to stick to your budget and never get lured with the good deals which dealer offers you. Dealer will understand easily that you are the person who will never get lured to any extra deals or bonus. 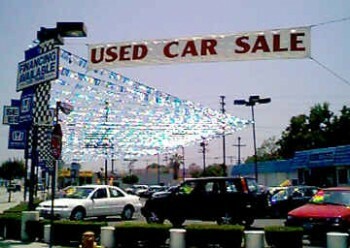 Always buy used automobiles when you feel that the time is right, sometimes due to recession, dealers are in real desperation to get rid of their stocks. If you use this trick, it is for certain that you will get a good deal, it is up to you to keep a close watch on dealers and strike when there are no buyers. In such a situation due to heavy inventory dealers are really in panic to sell the inventory even if the profit is very less. You must pretend and give a feeling that you have a better deal waiting with some other dealer, and give this impression that you are there to get something better. You must closely watch the dealer, if you feel the dealer is reluctant, refuse and try to leave the showroom leaving an impression that what you want you mean it. Since there is a lot of competition dealer will not easily let you go, dealer will definitely think twice on your demand. Silence is golden rule, this is the most important when you negotiate with the dealer, just pass on only that information to the dealer which you think is absolutely must. Dealer will try to ask many questions, remember you are not obliged to reply all the questions, learn to hold back and refuse to reply. Never ever get friendly with the dealer, people unnecessarily try to become friendly with dealer expecting a better deal, basically dealers use this tactic to overcharge the customer. You must always remember it is the dealer who has to compromise and not you. When in the showroom, look for those cars which the dealer has not offered, dealer will never let you leave. Dealer will show you more cars and chances are you will get the car which you have already decided. You must pretend that the car shown by the dealer can be considered only if the prices are lowered. Negotiating with the dealer is very easy, if you have enough knowledge about the cars and the dealers. Head over to the nearest used car lot and start sharpening your negotiating skill to locate your ideal donor car for your DIY electric car conversion project.